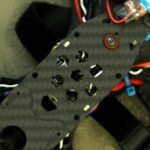 Updated 12/21/2017 – Updated to add BLHeli_32 technology and to update the ESC list. In this edition of our buyers guide series, we will discuss electronic speed controllers. Specifically, we will talk about how they work, what you should look for when purchasing one, and offer a few of our favorite options on the market. What does the ESC I choose affect? 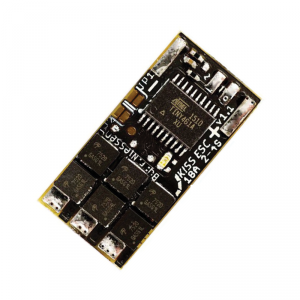 The Aikon SEFM BLHeli_S ESC – One of the first on the market to use the BB processor chip. The job of an ESC is relatively simple to understand – it controls the speed of the motor in response to commands from the flight controller. The faster the motor turns, the more thrust it generates, and the more speed you will get out of your miniquad. The way the ESC communicates with the motor can actually affect the amount of thrust that motor generates. In his bench tests on miniquadtestbench.com, QuadMcFly found that from the best ESC to the second worst on the market, there was actually a 20% variance in thrust produced from the same motor. Interestingly enough, this is pretty similar to the variance seen in testing different motor brands. This means you can gain just as much thrust performance from picking the right ESC as you can from picking the right motor. The way the ESC talks to the flight controller matters as well. 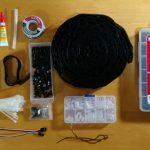 All of the ESCs on this list talk using Oneshot125, a communications protocol that ensures a reasonably low-latency communications link between the two devices. However, ESCs with faster processor chips are technically capable of talking to the flight controller more often. This is currently the bleeding edge of performance gains, but ultimately it will mean a smoother flying miniquad once they are realized. Given that ESCs have just as much of an affect on thrust performance as motors, and that they have a huge effect on how smooth your miniquad flies, we believe that ESCs are the single most important component you can buy for your miniquad. Do not cheap out. There is no real reason to – there are great ESCs on the market for every price point – see our recommended pick below. What makes a good ESC? Pictured is a 4-in-1 variety of the Racerstar line of ESCs. This ESC is meant to be mounted under the flight controller. The power rating. This is measured in amps. 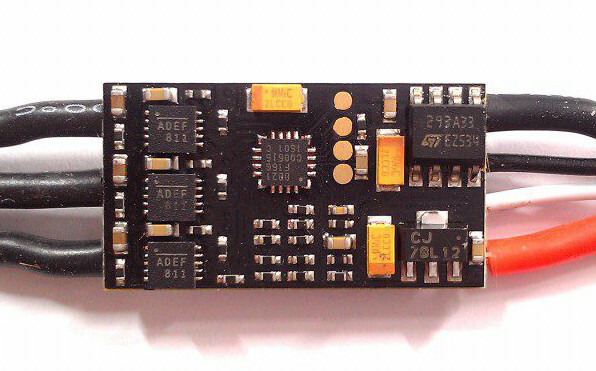 For miniquad purposes, there are 3 general classes of ESCs: <18A, 20A and 30A. 20A is generally the way to go unless you are flying 6″ props on 4S batteries. <18A ESCs may be appropriate for smaller 180-sized quads. 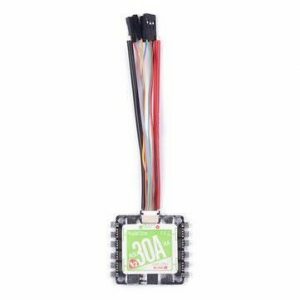 30A ESCs are the way to go if you are going for a true powerhouse. The compromise with higher ratings is generally larger size and more weight. Burst power rating. This is the amount of power an ESC can handle for short periods of time. This is a convenient rating for miniquads because often time you will be hovering at very low power settings with spurts of high power usage. Battery support. All ESCs on this list will support 3S and 4S batteries, the most common used in miniquads. If you want to build a monster, you may be interested in 6S support. The form factor of the ESC. The most popular form factor for an ESC is that of a small chip that gets mounted to the arm of your quadcopter. This type of ESC is easy to work on and replace but does affect the looks and aerodynamics of your quadcopter. 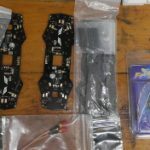 Recently, with smaller quadcopters becoming all the rage, 4-in-1 ESCs that mount underneath the flight controller in the main body of the quadcopter have become very popular. These are lighter and easier to wire, but carry the risk that a failure of a single ESC could warrant replacement of the entire board. Another option is going “in between” a 4-in-1 and separate ESCs with the X-Racer Quadrant – which are four small ESCs which can be assembled into a 35x35mm board. These can be individually replaced if any ESC fails. The best of both worlds for those needing a 4-in-1! The physical size of the ESC. As miniquads get lighter, the arms get thinner and shorter and the space for the ESC gets smaller in the process. Also, a smaller ESC generally looks much nicer. The weight of the ESC. Like motors, these weights are multiplied by four and generally bring the weight away from the center of mass of the miniquad. You want your ESC as light as you can get it. DSHOT support. This is not even a question — DSHOT is the best new miniquad technology of 2016 and any ESC you consider purchasing should support it. BLHeli was the best choice for ESC firmwares from 2015 to 2016. Nowadays it has been completely replaced by ESCs running BLHeli_S, mostly because of DSHOT support. BLHeli_S is an variant of BLHeli written for BB2 and BB1 controller chips. These chips allow considerably smoother motor driving (the _S is for “smooth”), but also open up the capability to support DSHOT. Read our article on BLHeli_S for more details. BLHeli_32 is a closed-source firmware released by the same guys who brought us the other two BLHeli firmwares. 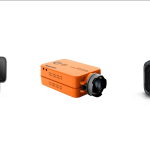 It offers advanced features like telemetry, configurable LEDs, current sensing and more. These ESCs are generally $2-4 more expensive than their BLHeli_S counterparts. We don’t think their features are “must-haves”, but they are neat. Read our article on BLHeli_32 for more details. KISS is the closed-source (think Apple vs Google) offering on the market from Flyduino. They are the ESC to have if you use the KISS flight controller. SimonK is a previously popular firmware that has fallen out of industry favor. We strongly recommend you do not buy a SimonK ESC if you are a beginner. ESC controller chip. This isn’t really a factor in ESCs anymore, but you sometimes find it on spec sheets. If you buy a BLHeli_S or BLHeli_32 ESC with DSHOT support, it will have a great controller chip. Packaging. For the purposes of building a miniquad, the optimal ESC is one that has no wires or wires only on the power and ground side. The optimal way to build a miniquad is to solder the motor wires directly to the ESC outputs. KISS ESCs were long renowned for their “smoothness” – a result of hardware PWM drivers. Hardware PWM Driver – This is either a “have it” or “don’t” feature. Hardware PWM will make your quad noticeably quieter and slightly more efficient. It also affords more fine control, although we honestly are not sure humans can take advantage of this. Here are the technical details of this feature:Motor speed control is accomplished by raising or lowering the voltage sent to the motor. This, in turn, is accomplished by rapidly switching special chips called FETs on and off with a proportion of “on” time equivalent to the percent of power you want to apply to the motor. Up until recently, this switching was controlled entirely by the microchip that controls the ESC. KISS changed that on their models by adding a separate driver chip that was responsible solely for producing the switching signal. 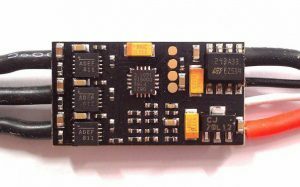 The miniquad community caught onto this and raved about how “smooth” KISS ESCs felt, despite the fact that they use outdated, arguably inferior technology elsewhere on-chip. With the release of BB1 and BB2 chip support with BLHeli_S, hardware PWM control is available on BLHeli ESCs as well. All BLHeli_32 ESCs also have hardware PWM drivers. We realize that the above might not “clear the water” for you. If you just want to know what ESC represents the best all around value, you should check out our “Propwashed Best Value Pick” in the section below. We update this list regularly and our pick will always be the best combination of price, features and performance. Realistically, you do not need to know all the above information to pick a miniquad racer ESC. It is, in fact, pretty simple: buy a BLHeli_S ESC from one of the manufacturers in the list below rated for 30A. * – On ESCs with muliple amperage options, the amperage option closest to 30A is the one used in the price. This is done to make comparisons easier. – Special thanks to QuadMcFly for his excellent tests and research. I have learned a ton from his informative posts. Updated 1/5/2017 to remove recommendations for non-BLHeli_S ESCs and add a few more options. Updated 7/6/2016 to add BlHeli_S section, and Cicada ESC. EMax Lightning removed because of recall. Updated 9/3/2016 to remove a few older ESCs and add the Littlebee_s ESCs.